Supercar coupes are attractive options to car collectors, automotive enthusiasts, and thrill seekers alike, but which supercar coupe is better? Let’s find out as we take the new Huracan EVO from Lamborghini and put it up against the Audi R8 in our Lamborghini Huracan EVO vs Audi R8 comparison. You will quickly find that the true Italian performance and engineering of the Huracan EVO beats out the best that the conservative Audi R8 has to offer. 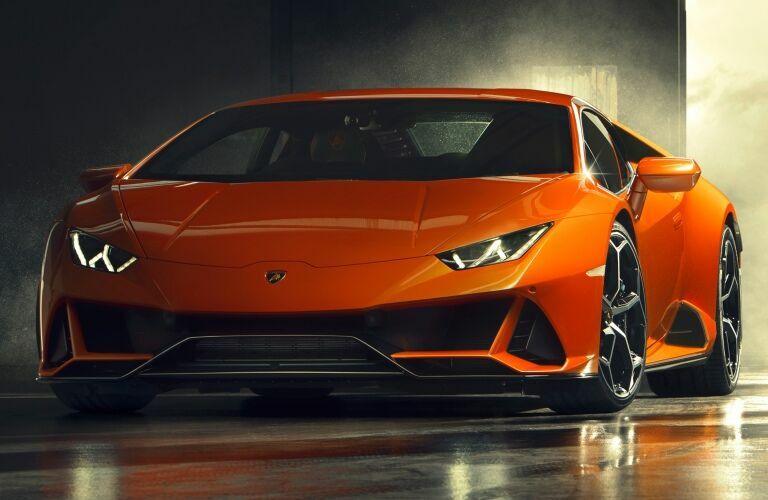 If you would like to learn more about the Lamborghini Huracan EVO or if you would like to order one for yourself in the Austin area, then feel free to reach out to Lamborghini Austin or check out our new Lamborghini inventory by clicking the link that we have below. Otherwise, keep reading to learn how the Huracan EVO puts the Audi R8 in its place. How does the Huracan EVO compare to the Audi R8? Both the Audi R8 and the Huracan EVO are hardtop coupes with convertible options. 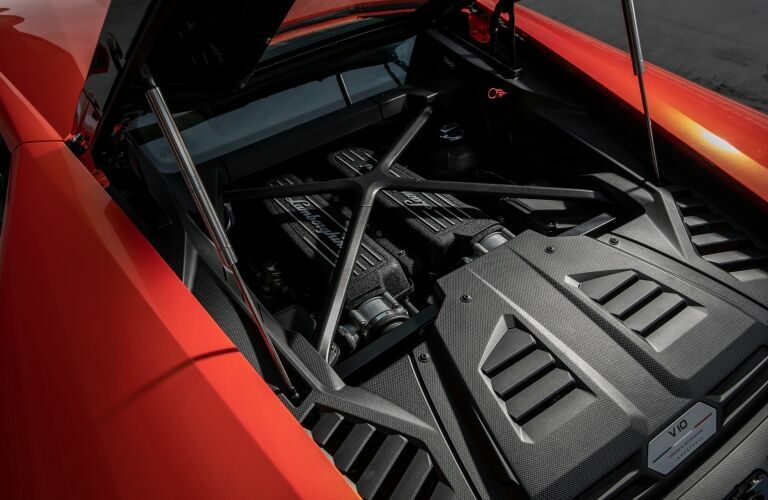 Both put the engine in the middle where it belongs, and both offer some bespoke options, but the Huracan EVO takes performance to the next level. For starters, we can look at the 0-62 mph (0-100 km/h) time to see some real differences. The Huracan EVO manages this feat in just 2.9 seconds in a category where hundredths of a second make a huge difference. The Audi R8 is not off the pace by hundredths of a second though. It’s off by three tenths. That’s huge, and that’s using best case scenario numbers with its highest-performance engine. The standard engine on the Huracan EVO produces 640 horsepower, and the standard V10 engine on the R8 produces just 540 horsepower and gives you a sluggish 0-62 mph (0-100 km/h) time of 3.6 seconds. That’s another big difference. Even if you upgrade to the “V10 Plus” on the R8, that still only gets you to 610 horsepower and it also still leaves you three-tenths of a second off the pace from the Huracan EVO. 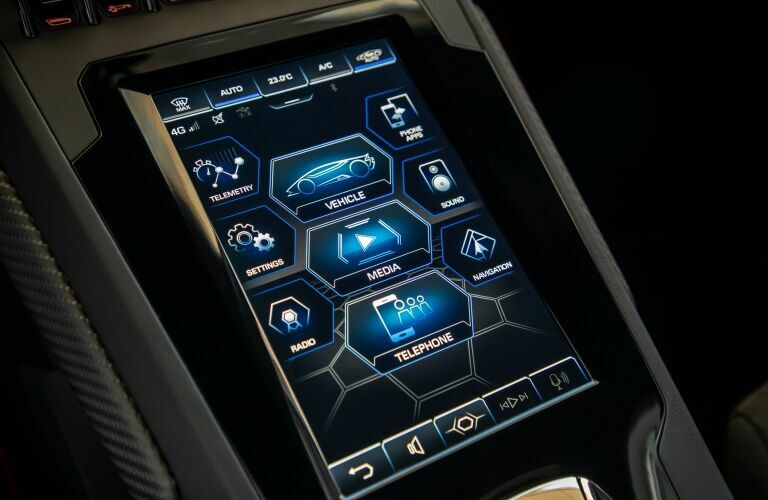 When it comes to driving tech, the Huracan EVO once again shows off what it brings to the track. Not only is the Huracan EVO built from the ground up with all-wheel drive in mind, but it also has all-wheel steering. The rear wheels will actually turn in response to your steering input. At high-speed, those rear wheels will turn with your front wheels for greater stability, and at low-speed, they will turn counter to your front wheels for greater maneuverability. 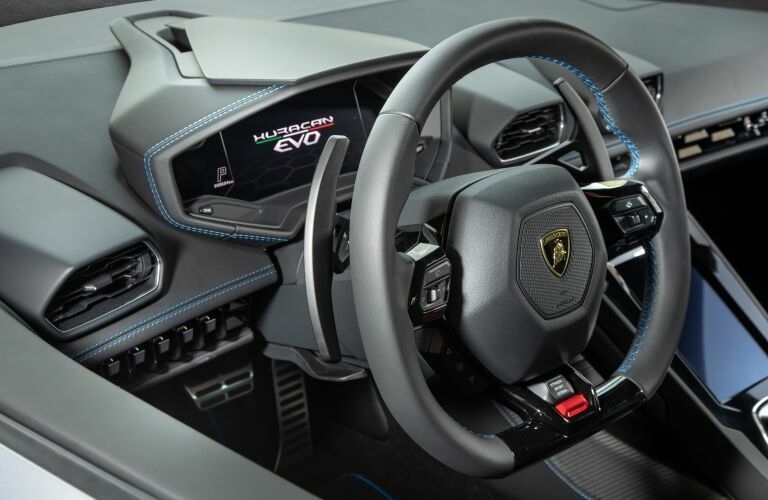 Request more Huracan EVO info or learn how to order yours today with the link below.